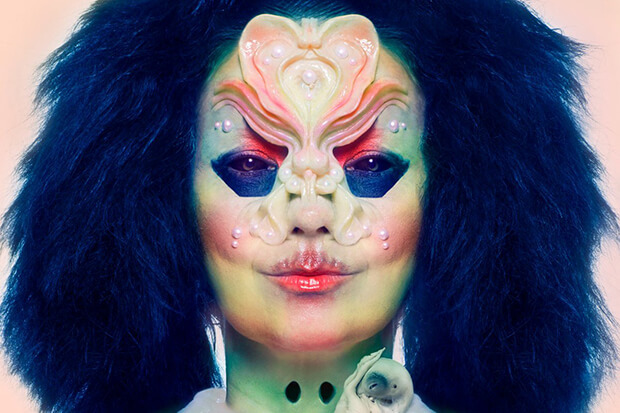 “This is the cover made by the warm extraordinary talented @truekanda and was assisted by me, @james.t.merry and @isshehungry,” Bjork continued. “Thank you for telepathically getting me! !” Apart from out-there artwork, what can we expect from the iconoclast’s latest? A little romance! 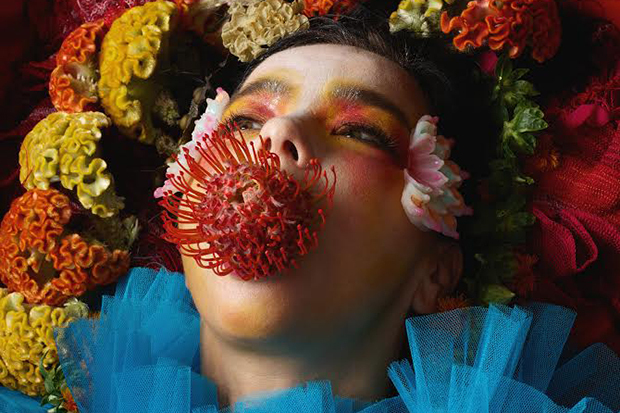 She called it her “Tinder album” in Dazed, explaining that it’s “about being in love. Spending time with a person you enjoy on every level is obviously utopia.” See the cover art in all its glory below.